Optional BIOS updates are now available for the EVGA GeForce GTX 1080 FTW2 and SC2 that enables 11GHz memory speed, this update is OPTIONAL and gives improved performance in 3D applications. NOTE: A small number of cards may not be stable at this new performance mode, please see below for installation instructions. For FTW2 cards, you can flash the primary or secondary BIOS. To flash the secondary BIOS the BIOS switch on the card MUST be set to the secondary position before applying update. Flashing to one BIOS is recommended in case you need to switch back for any reason. Download the correct .zip file below for your graphics card below. ENSURE THE PART NUMBER MATCHES. Extract the files to a location on disk. Make sure no programs are running in the background, and double click update.exe. Press "Y" to begin the update. DO NOT TURN OFF POWER OR RESET DURING THE UPDATE PROCESS! After applying the BIOS it is recommended to test for stability, a small number of cards may not be compatible with this update. Use a 3D application or game and watch for any visual abnormalities or game crashes, if this occurs please contact our support at 888-880-3842 or support@evga.com so we can assist you. As a reminder this BIOS update is OPTIONAL. Thanks Jacob. I guess that answers the question if EVGA will be selling the 11gbps version. A bios update is much cheaper lol. Most important part of the entire post as well... too many people will be posting issues without read this. Everypne SHOULD save the original bios through GPU-Z before updating. Forum post will be updated with original BIOS shortly if you need to flash back for any reason. EDIT: Original BIOS's are now in top post. If need to flash back for any reason use the above links. Again, thank you. That would be awesome just in case. I will be testing this out this morning, I'll chart averaged runs over a few top benchmarks and games to see what this does performance wise. I'll try to post these results later this evening if I can. So this begs the question. 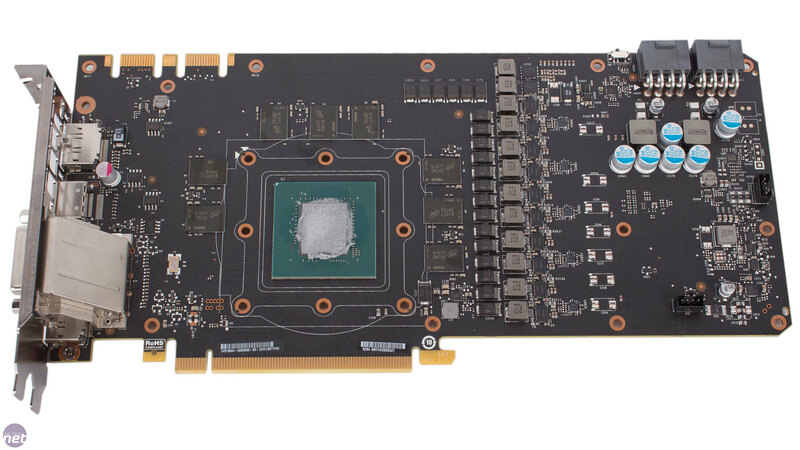 Do the current 1080 FTW2 iCX cards already have the improved 11Gbps GDDR5X chips? Or is this BIOS update just pushing the old 10 Gbps GDDR5X chips to their limits? In other words, do my 1080 FTW2 iCX RAM chips have even more headroom? Or are we taking 10Gbps RAM and just overclocking it to it's max with the BIOS update? it's literally a reflash of the bios to make the old, 10000 gbps chips run at 11, it's kinda worrying because these modules actually saturate at certain speeds and DO NOT offer better performance or scores because of the noise created in the throughput............ That's why specific 11g modules exist, they were designed to counter this behavior at higher frequencies. Exactly the reason I'm asking. However, it's not out of the realm of possibility that the FTW2 cards got these new RAM chips. These cards were produced around the same time the new GDDR5X chips would have been available. Maybe eVGA wanted to go ahead and outfit these iCX cards with better memory, but couldn't announce it until nVidia made the official announcement. Now that it's out in the open, they conveniently release a BIOS update that unlocks that hidden potential. Sadly no, these are the old chips the 2nd revision is a totally different model. I'd say this to anyone potentially looking at flashing, benchmark several runs and average them out at different memory oc's. if you start seeing a certain decline in performance at a certain point, you'll know whether or not it's worth your time. it is stupid to flash your native 10gbps 1.35v vram chip on your old 1080 to new 11gbps bios. I'm glad you can read that. I can only make out number on the FTW. The FTW2 and 1080Ti are too blurry or faded to read. Well the fact that there will be some cards that won't be stable at this new memory speeds probably means no, EVGA should have have released a new version with the new memory to avoid these issues. I was able to overclock my GTX 1080 FTW ACX memory to 11gbs but I did not dare to test it in games for obvious reasons. I got one last July so it may die early do to a faulty VRMs, I did do the bios and thermal pads fix though. Perhaps I should pay for an ICX upgrade for the extra cooling and this new 11gbs memory, plus the option to step up to a Ti? And GTX 1080 FE ? Since they only made this BIOS update available to the iCX cards, they must have different memory chips. Otherwise they would release a similar BIOS update for all the other 1080s in the line. Why are the iCX cards the only ones to get the bump in speed if all the other 1080s have the same RAM chips? indeed almost all old 1080s with native 1.35v 10gbps gddr5x micron vram chip can overclock to 11gpbs. 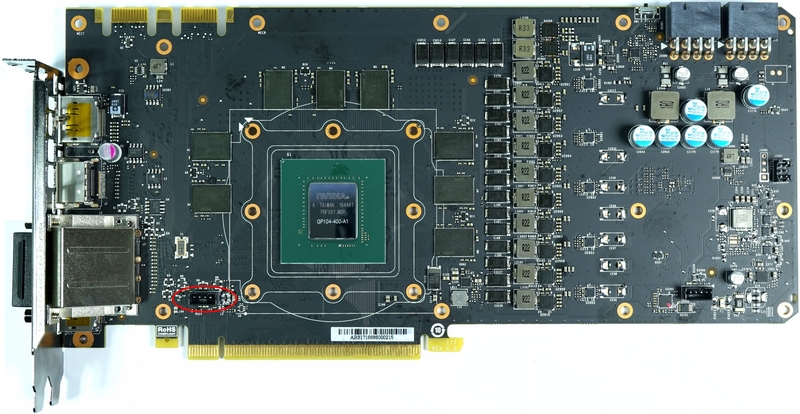 but the new 1080 now comes with 11gbps 1.35v native vram chip, which means (and shown by guru3d latest review) these new 1080 vram can further oc to 12gpbs which your old 1080 can never be achieved to such high level. Before/after test result on Superposition, 1080P High Setting, 1080 FTW2. Also added to OP. would you mind to clarify why only sc2 and ftw2 are available in this bios update? Why assume only 2nd generally gddr5x can hit 11Ghz. Maybe nvidia tweaked the memory controller to enable 11Ghz and the newer part number are just prevalidated. i didnt follow this, could you show me some photos or reviews' links? I'm sure you're juust confused. EVGA did accept responsibility for the high vrm temps. Even to the point of offering a free RMA to apply the thermal pads. They did confirm that the temps were still within margin of operation but decided to offer a way to reduce them anyway. They then went and accelerated the development of iCX system to prevent future high temps of the VRM and Memory.